Ask a question about Stackdriver on Stack Overflow. See the following table for Stackdriver tags on Stack Overflow. These tags not only receive responses from the Stack Overflow community, but also from Google engineers, who monitor the tags and offer unofficial support. Join the google-stackdriver-discussion Google group to discuss Stackdriver and receive Stackdriver announcements and updates. You can also visit the GCP Slack community to discuss Stackdriver and other GCP products. If you haven't already joined, use this form to sign up. For Stackdriver, join the #stackdriver channel. Found a bug in a Stackdriver product? The Stackdriver team reviews and tracks every new bug submitted by users. Expect to hear from us within 2 business days. To learn more about what to expect when you file a bug, see Bug reports. Have a feature request for Stackdriver? You can suggest a new feature or vote for an existing suggestion in our UserVoice community. You can also request and vote for new features via our issue trackers; see above table. Feature requests with more stars and, hopefully, comments from several users about how the feature would be useful are more likely to be considered. 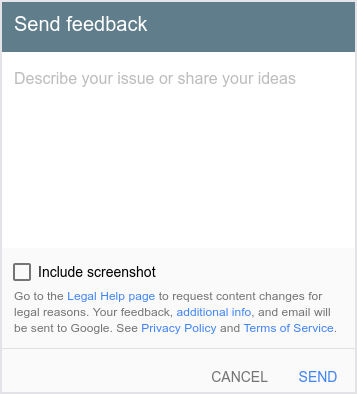 See Feature requests to learn more about how Google Cloud Platform tracks feature requests. Want to share your opinion on Stackdriver products? 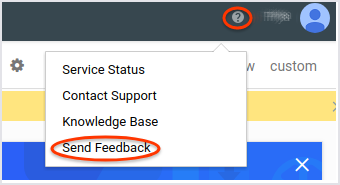 Your feedback helps us improve Stackdriver. You can send feedback from your Cloud Console or your Stackdriver Monitoring console. 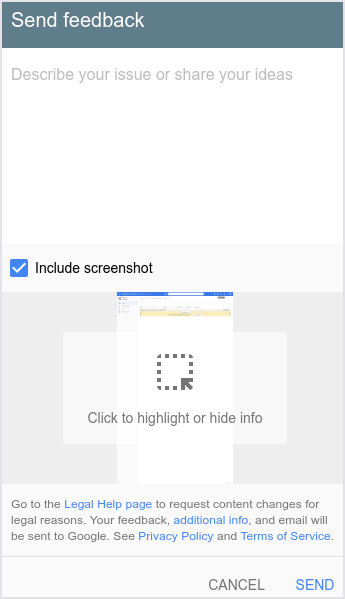 You can also select Include screenshot to give us a clearer target for your feedback. If reporting an issue, please elaborate on what you did, what you expected to happen, and what actually happened. The more details you provide, the more likely it is we'll be able to quickly reproduce and resolve your issue. In addition to bugs and feature requests, we're happy to receive any other feedback that you'd like to provide. Please provide as much detail as you can. Once we receive your feedback, we will read it and either submit a new bug or add it to a known issue. We do receive a high volume of submissions; unfortunately, this means that we’re unable to respond directly to each one. Want to speak with someone in Sales? Just mention Stackdriver in your inquiry, and someone from the Google Cloud Platform Sales team will get back to you shortly.